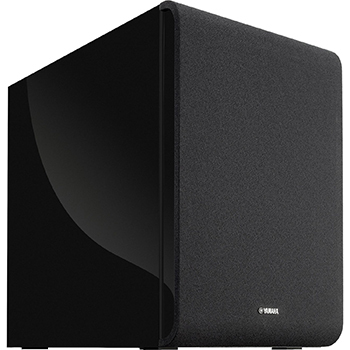 2018 has seen Yamaha refine their MusicCast system with the MusicCast 20 and MusicCast 50 multiroom speakers, as well as the mighty BAR 400, but there has always been something missing. 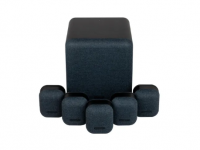 Well, MusicCast fans’ prayers have been answered with the SUB 100, a dedicated wireless subwoofer to introduce to your existing system and even older MusicCast set ups. Pair the Sub100 with any other MusicCast product effortlessly using the dedicated app. 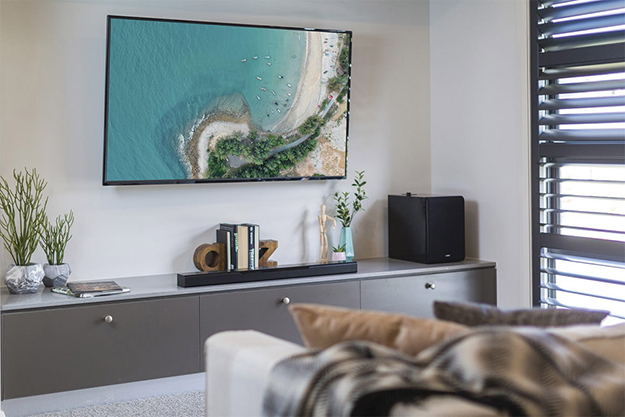 Using the built-in Wi-Fi the SUB 100 requires only a mains connection and can be placed anywhere in the room with the MusicCast product you wish to pair it with and you’re ready to take your home cinema sound to the next level! Let me re-assure you, this isn’t a one trick pony, the Sub100 doesn’t just create a random bass frequency. It can be perfectly matched and balanced depending on which product it is paired with and, of course, is fully-customisable through the dedicated app. We paired ours with a YSP1600 TV soundbar which has a built-in subwoofer, but can be a little limited. Once we went through the usual MusicCast pairing process, the sub was paired in no time and the difference was HUGE. The YSP1600 is a brilliant TV soundbar, but once paired with the SUB 100 it was elevated to a whole new level. as it has a brilliant soundtrack with a good mix of iconic music. During those intense battle scenes the Sub100 remained perfectly balanced alongside the TV soundbar, with no degree of separation and no lagging – it didn’t miss a beat. The TV soundbar itself still handled all the high-end, such as speech and treble, whilst the subwoofer took care of all of the low notes. Using the MusicCast app we played some music, specifically James Blake’s “Limit to your love”. This track utilises every degree of separation any subwoofer can offer with varying tones throughout the track. I found the SUB 100 to be a little overwhelming at first, but I had left the bar in cinema mode rather than stereo. Once I rectified the issue I was really impressed with the depth of sound. If you’re already an existing MusicCast user and want to take your system to the next level, then the Sub 100 is the first step you should take! 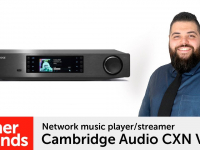 It’s great to see Yamaha adding yet another fantastic product to the MusicCast arsenal and we’re excited to see what Yamaha has lined up for us, but in the mean time why not pop down to your local Richer Sounds to hear this brilliant sub for yourself. 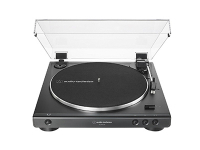 Hi there, how did you pair this with the YSP1600? I didn’t think it would be compatible… or did you hard-wire it? 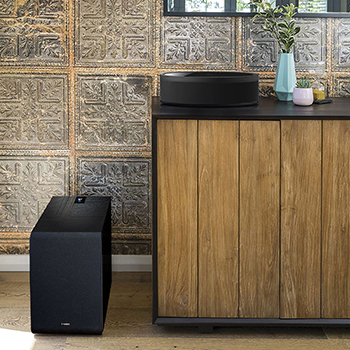 The SUB 100 and YSP1600 are able to be linked via Yamaha’s MusicCast multiroom system and app.